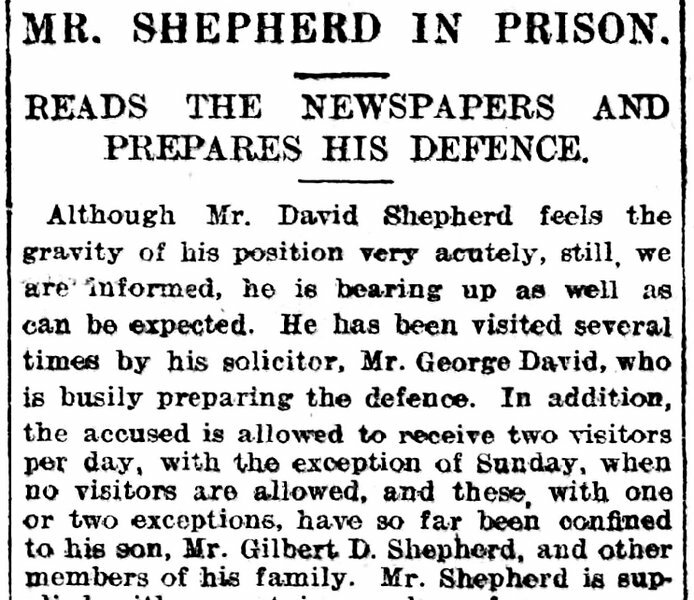 Mr. Gilbert D. Shepherd died on the 6th June, 1958, at the ripe age of 78 years. We do not think that the passing of Mr. Shepherd should remain unnoticed in our records, as throughout a long life he rendered exceptional service to the Society. 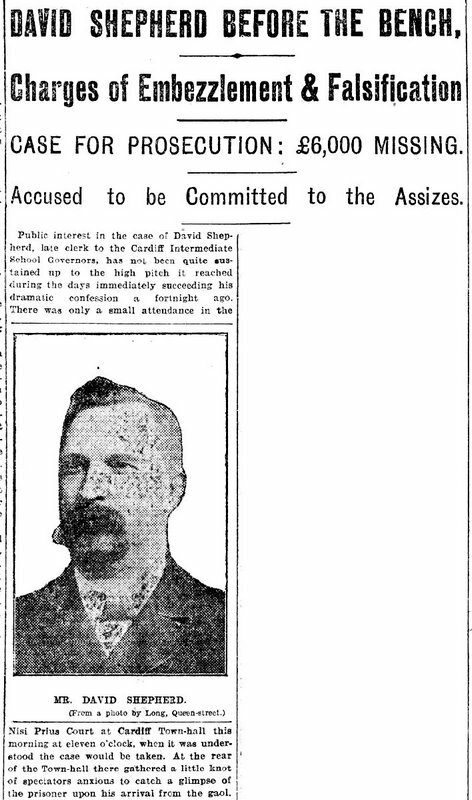 He became Assistant Secretary under Mr. Walter Cook in 1901, and later served under Mr. A. W. Sheen, F.R.C.S. A few years later he became the Hon. Secretary. In these capacities he served the Society for 20 years. 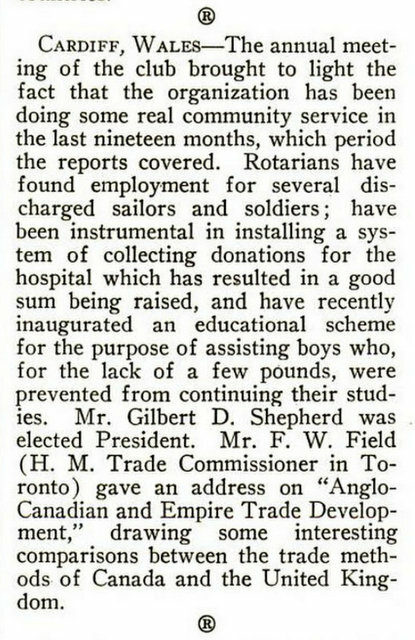 Mr. Shepherd was elected President for 1921/22 and then succeeded Mr. H. Edgar Salmon as Hon. Treasurer. 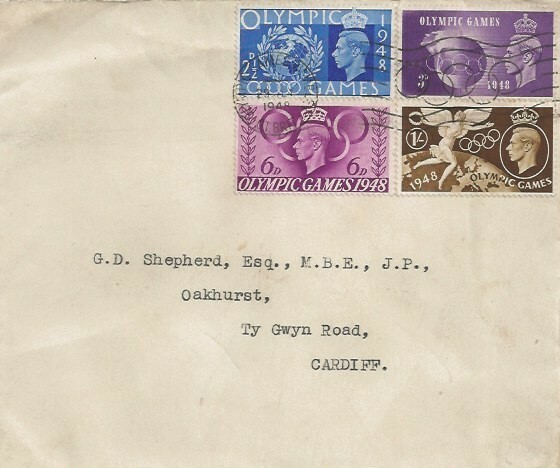 He retired from the Treasurer-ship at the Annual Meeting on 11th October, 1951, and at that Meeting he expressed his great pride and pleasure at the fact that his son, Mr. Edgar Shepherd was elected in his place. He continued as a member of the Society until his death, and his wise counsel and guidance was always welcomed. 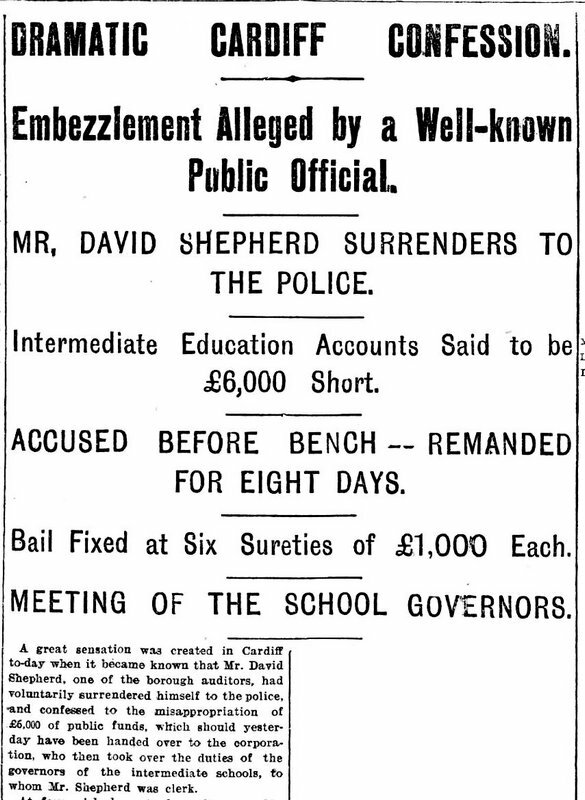 Mr. Shepherd therefore, served the Society for nearly 60 years. When the former Cardiff Photographic Society became defunct he was instrumental in founding the Photographic Section of the Naturalists' Society. He also took the initial steps towards founding the Junior Section. At different times he became President of both Sections and was Treasurer of each Section from 1923 onwards. He served as a Justice of the Peace and was a prominent member of the Rotary but it is not for us to record his other spheres of usefulness. Gilbert as recorded above continued to support his father as a dutiful son, but then went on to build his own successful career. As a side note I have located a link between Gilbert Shepherd and Peter Price the founder of the Free Library and 12th President, in a book entitled "The Auditors Talk: An Oral History of a Profession from the 1920s to the Present Day" in which Kathkeen Patterson related her time working for Gilbert Shepherd after she had started her career working for the firm of Wentwood Price, Peter's son.